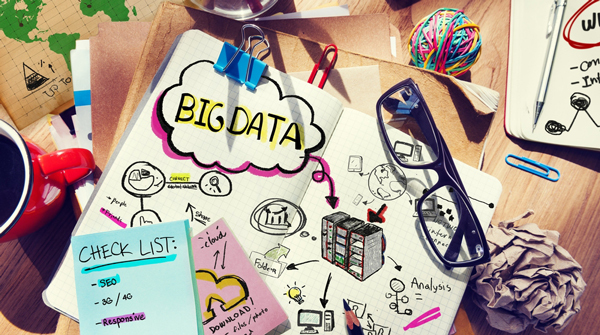 As far as business trends go, few have had as big of an impact as big data. Thanks to recent advances in big data analytics, companies of all sizes now have the same opportunity to gather data, study it, and figure out the best ways to use it for growing their businesses. As a result, more companies than ever before are using big data, but as exciting as this prospect is, the results have been mixed. The fault doesn’t necessarily lie with the data but rather the companies that use it. Needless to say, due to a number of factors, big data projects fail at an alarmingly high rate. And that’s just a current look at businesses. In the future, when even more organizations get their hands on big data, the failures may mount, and many businesses may grow frustrated. Perhaps you are part of a company preparing to launch its own big data project. Failure is a very real possibility, but you’ll have a better chance at avoiding it if you follow a number of helpful tips. There’s little doubt that the idea of having a vast amount of big data at the ready is thrilling, but focusing all of your attention on the numbers is a step in the wrong direction. Having loads of data gets you nowhere. Instead, you need to know how you’re going to use it to meet specific business objectives and solve specific business problems. By identifying clear goals you want to reach with big data, you’ll be able to focus your efforts in the right places. Simply gathering a ton of information and discovering as many insights as possible is an inefficient and ineffective approach best avoided. Big data needs to ultimately give you insight that you can act upon. This also requires asking the right questions of your data. Knowing your department store customers respond best to blue sale signs on the weekends might sound useful, but what good is that information when it comes to growing your company? If your goal is to find out why certain customers leave your company’s website after only two minutes, state the objective at the start and tailor your project around getting an answer to the problem. Big data projects usually have a wide variety of people working on them, diligently studying the data or offering insight on what’s the best approach to take. While having different opinions can facilitate collaboration, if communication between different groups is poor, the project has a greater chance of getting derailed. Think of all the different people that may be involved in a big data project — you might have data scientists, IT managers, salespeople, corporate executives, and many others, each with different visions and different ideas. All bring something valuable to the table, but in order to work together, there needs to be clear communication. Data scientists need to know how to talk about the business case with the executives, salespeople need to understand more about ad hoc analysis employed by data experts, etc. With this in mind, it becomes even more important to have a talented manager at the head of a project. A good manager can facilitate this communication, explaining the details of the project to each side in terms and perspectives that they can understand. Project managers also need to be good at long-term planning, identifying where future problems may arise and ensuring enough time and resources are being devoted to the project. Capable managers also keep projects on track, making sure that every move made is aimed at meeting the right business objectives. Without a good manager, your big data project will likely see little success. At the same time, you must make sure your personnel have the necessary skill sets to handle big data and other accompanying technologies. Simply bringing in a bunch of data scientists doesn’t always cut it if they have no experience in your industry. Sometimes it’s easier to train existing employees to be capable of dealing with big data, but you’ll need to identify where those skill gaps are before proceeding. With the right minds ready to analyze big data while also possessing domain knowledge, you’ll have what you need to increase your project’s chances of success. There is no foolproof way to prevent failure for a big data project. Even the best projects headed by the brightest minds may run into unforeseen problems. Despite this, the above suggestions are some of the best ways to avoid failure and achieve new levels of success. When big data is handled correctly, it can truly transform a company, leading to unprecedented growth for many years to come.